The Gladstone Library at One Whitehall Place is not normally awash with glamorous ladies in full length, sequin-strewn gowns on a weekday afternoon but for the Romantic Novelists’ Association’s annual awards on Monday it seemed entirely appropriate in that Victorian space. Authors, editors, agents and anyone who is anyone in commercial romantic fiction were there, lapping up the bubbles (pink, naturally) and the bites (lots of pink here also, what with the smoked salmon and the parma ham) and cheering on their shortlisted books. The RONAs were presented by best-selling crime writer Peter James who made an often hilarious but also thought-provoking speech in which he talked about the similarities between romance and crime novels and how they are so often considered inferior by literary fiction snobs. James and, of course, the Daily Mail books pages – where dedicated space is given each week to these and other huge-selling genres – believe it matters a lot. There is no doubt, however, that all those on the shortlist for the Contemporary Romantic Novel award have enjoyed huge sales, despite what the literary snobs may think. 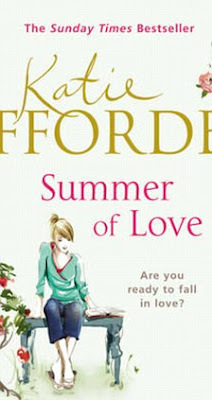 Katie Fforde’s Summer of Love (Arrow £7.99) ultimately saw off stiff competition from Freya North, Jill Mansell, Miranda Dickinson, Karen Swann and Kate Johnson to win the category. 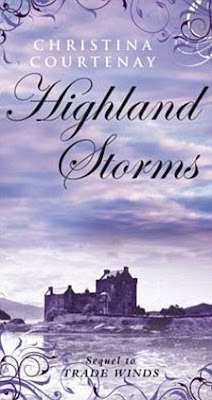 Christina Courtenay won the Historical Romantic Novel with Highland Storms, published by Choc Lit (£7.99) who were also victorious in the Romantic Comedy category with Jane Lovering’s Please Don’t Stop the Music (£7.99). The Epic Romantic Novel award was won by Rosie Thomas for her multi-generational tale The Kashmir Shawl (HarperCollins £7.99) beating Betsy Tobin, Deborah Lawrenson, Ruth Hamilton and Michael Arditti, the only man on any shortlist here. Caroline Green’s Dark Ride (£6.99) took the Young Adult Romantic Novel while Sarah Mallory was the winner of the RONA Rose Award for the best in shorter romance with The Dangerous Lord Darrington, (Mills & Boon £3.99). Each category winner will go on to form the shortlist for the Romantic Novel of the Year Award, which will be announced in May so why not try them all and make your own choice. Romantic novelists like to party and there was a rush for the Churchill Bar after the ceremony, not to mention lots of tweets about hangovers the next day. Cheers ladies!